In 2017-2018, Accelerate2030 was implemented in 17 countries receiving a total of 324 applications. A total of 51 ventures were selected in each location by local juries comprised of experts from UNDP, Impact Hub and partners, and received support in their local context. These became the Accelerate2030 2017 National Finalists. Finally, a global cohort of nine International Finalist ventures were selected by an international jury to take part in the Accelerate2030 Global Scaling Program. The global jury in Geneva included a representatives of UNDP, Impact Hub, Schwab Foundation, B-Lab, SwissRe, International Trade Centre (ITC), and United Nations Social Impact Fund (UNSIF). In Rwanda a motorist is 700 times more likely to die in an accident than in the UK (WHO), and 80% of accidents in Kigali involve motorcycles. Safemotos is a localized fit-for-purpose ride hailing platform that promotes the safest motorcycle drivers, leading to decreased accidents. The technology platform captures the driving style of the drivers and allows passengers to rate the driver based on their safety (driving style, personality, available helmet, etc.) incentivising safe driving habits. Male and female drivers are trained to provide a safe driving experience where each of the trips are electronically tracked. To date, Safemotos has 300,000+ trips booked, 6,000,000+ km of data tracked, 0 fatalities or hospitalisation, and 35 000+ Registered Users. Globally, 466 million people, or more than 5 per cent of the world’s population, suffer from disabling hearing loss. Hearing Loss leads to a $750 Billion Annual Global Economic Cost. hearScreen is an innovative mobile hearing health application, offering accurate, clinically-validated, low-cost smartphone screening. The user-friendly design and automated test protocols make it ideal for use by minimally trained persons while adhering to international best practice protocols and standards, with the addition to inform and refer patients to their closest healthcare provider using SMS or email addon. To date more than 270 000 people have been screened across 35 countries, and 2 500 people trained to use the technology. More than 91% of learners in South Africa fail high school maths and science due to shortages of teachers, high cost of textbooks, overcrowding and lack of adequate teacher training and mentorship in rural and township schools across South Africa. Syafunda is an offline, high-school educational app providing unconventional methods of learning. Syafunda integrates local and rural teaching practices and classroom dynamics through interactive video tutorials and workbooks within the local dept. of education framework. Syafunda Digital Library is set up in schools, community centres and public libraries providing access to digital educational content through mobile technology. To date, Syafunda provides 6TB+ education material to 120 000+ students in 150+ schools, with a 12% improvement rate in student education. More than 600 million people around the world with communicative difficulties and more than 800 million people considered to be illiterate. 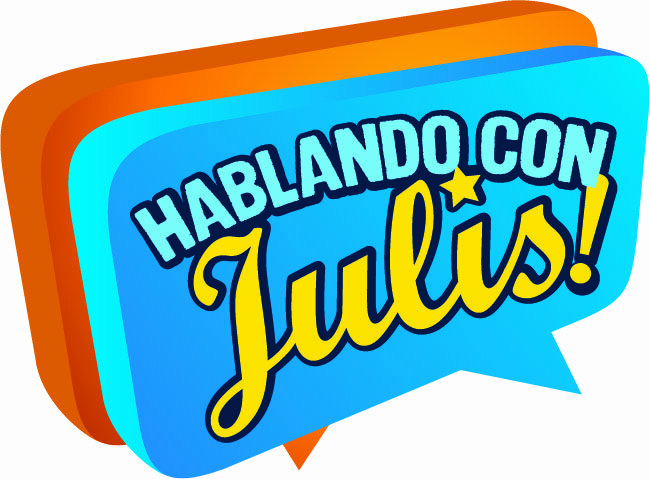 Hablando Con Julis is proof that people with speech, writing, and learning disabilities can have the same opportunities as any other. It is an all-in-one technological solution that enables people from all ages with communication impediments to read, write, speak, and learn by the use of images that are interpreted through written and voiced words. It integrates a competitive price for families and institutions, and can be offered for free for those in financial difficulties. A professional pedagogical team can follow the user’s progress and provides individual support. To date there are over 9 500 people across 7 countries with disabilities using the platform, with over 70 000 words in Spanish and English in its database. Up to 40% of the freshwater it’s used to flush away human waste. More than 15 Billion flushes are pressed every 24hrs, and up to 80% of a toilet consumption it’s just to eliminate urine. Piipee is a bio and eco-friendly liquid that you use instead of the toilet flush saving 100% of toilet water consumption during urination and cheaper than the water paid using the flush. It is a biodegradable solution that works in urine, removing the smell of the urine, changing the color, sanitizing the toilet bowl, without the use of water. It is applied in a hand spray or with a plastic device that is installed to existing toilets in less than 2 minutes. When pressed instead of flushing, the solution does its job and the urine is neutralised. What a single person can save using Piipee in 1 year is enough to drink 2 liters of water every day, for 15 years. To date Piipee has saved more than 12 000 000 liters of water with over 2000+ Piipees installed so far. Worldwide, 13.5 million tons/year (1.35 Billion tires) of tires are discarded and only 9% are recycled. Tires take between 80 and 100 years to decompose. HM Energy Mexico has innovated a way to convert scrap tires to produce a low carbon emitting diesel and carbon black char by using a novel thermal conversion process in their plants. The diesel substitute generates 35% less carbon emissions compared to petrodiesel and is compatible with open diesel burners. In addition, carbon black is produced and sold back to tire production plants as raw material, creating a sustainable cycle in the carbon black market. To date, they have converted over 370 000 tires, produced more than 1 480 000 liters of bio-fuel, and saved more than 3 750 ton equivalent CO2. Marginalized youth and adults around the globe struggle to find access to employment. This translates directly into poverty, unemployment, lack of perceived purpose in life, exposure to physical harm such as drug abuse and violence or severe health conditions, conflict with the law, imprisonment, loss of dignity, loss of self-esteem and further marginalization. 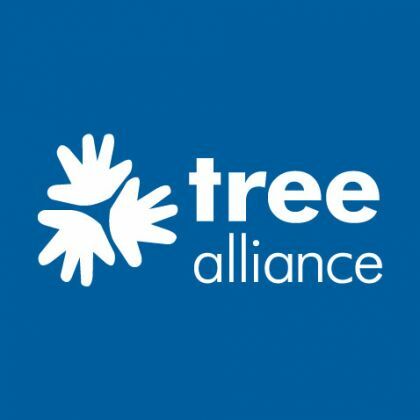 TREE Alliance empowers marginalised youth and young-adults to take care of themselves by giving them access to education and jobs through vocational training restaurants where students receive hands-on and impact oriented training in cooking service, job readiness and life skills, and are supported to be placed in outside jobs after graduation, in order to be in charge of and give meaning to their own lives. To date they have trained over 1 200 vocational training students having served over 1 000 000 guests in 7 restaurants. 1.2 billion people (1 in 6) live without access to electricity, and a huge proportion use kerosene lamps as a source of light, which are major health and fire hazards with high maintenance costs. SALt has developed an ecologically designed lantern activated by salt water. By adding salt water to the lamp, the metal-air fuel cell generates electricity to light up the lamp without the need of the sun. These can be used in off-grid and marginalised communities and can provide aid in the event of natural disasters. Alongside a micro-financing scheme and competitive pricing model, SALt donates one lamp for every one bought. There are over 30 000 people using the lamps, lighting up over 8 500 households, where each household saves an average of $5 per week by using the SALt lamp as their main source of electricity. Globally, more than 30% of all produced food goes to waste, while 60% of this inventory is still edible/useable. Retail is riddled with food waste leading to 2-5% margin loss, while everyday, 1 in 7 people still suffer from food poverty. Whole Surplus have an online market-place connecting food retailers and food banks. Retailers post their surplus food on the surplus management platform where the nearest food banks can see, apply for and collect these surpluses to distribute them to those in need. The platform enables food banks to dynamically see surplus inventories based on categories, location, and time constraints. Retailers profit in helping cut food wastage and lower tax requirements. Until now they have helped more than 190 000 people with access to food, with over 90 food banks in their network, saving a total of 5340 tons of CO2.